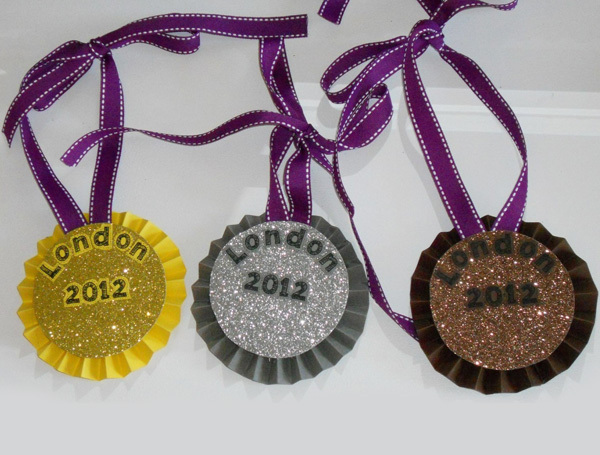 Quite often for holding of any festive event with children required medals necessary to play competitions. Medals you can buy them not in every store, and sometimes hard to find. However, if you try a little, you can make and with their hands, having spent quite a bit of free time. Lay out a thick cardboard, using the ruler and pencil, measure the rectangle with sides two and 20 centimeters. Vestigate the resulting figure, then gently each of them fold like a fan. Glue the sides of the resulting fans to each other so that they form a shape resembling a circle. Cardboard cut out a small circle with a diameter of about two inches. Gently fold the circle of "fans" so that it became similar to the sun, then to the middle, glue a small cardboard circle. On shiny cardboard, draw a flat circle with a diameter of three inches (if the drawing is better to use either a compass or a round template). Cut out the shape, after which its reverse side glue a prepared tape with a length of about 35-40 inches. Brilliant glue the cardboard circle in the middle of the "fan circle". Always make sure that everything was on straight. 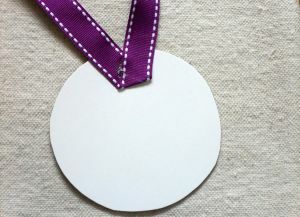 The final stage is the presentation of the front of the coin. 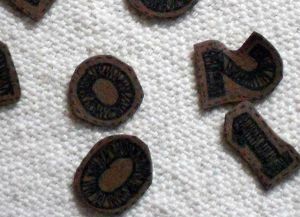 On thick cardboard, draw beautiful letters or numbers (required) required size, vestigate them and stick on the shiny part of the coin, arranging them, for example, in the form of an arc. 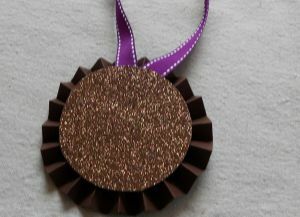 Medal of paper ready.